Behold, Portal Masters! Activision Publishing, Inc., a wholly owned subsidiary of Activision Blizzard, Inc. is pleased to announce that Skylanders Trap Team is officially available at major retailers across the G.C.C regions today on Xbox 360™ and Xbox One™ video game and entertainment systems from Microsoft, PlayStation® 3 and PlayStation® 4 computer entertainment systems, Nintendo’s Wii™ system, Nintendo’s Wii U™ system, and a completely unique adventure available on the Nintendo 3DS™ hand-held system. The launch of Skylanders Trap Team also ushers in the complete console gaming experience on Tablet , introducing a Starter Pack that supports iPad®, Kindle Fire and Android tablets. The latest installment of the franchise that pioneered the Toys-to-Life genre is already poised to become one of the top family games this holiday. Toys R’ Us® recently named Skylanders Trap Team as one of the “Fabulous 15” on the company’s 2014 Holiday Hot Toy List, while Target named Skylanders Trap Team to their Top Toys for the Holidays List. In addition, the game was featured in Toy Insider’s Hot 20 Holiday Toys of 2014, which highlights the most sought-after and anticipated items of the holiday season. The game, continues to lead and evolve the category with Skylanders Trap Team by letting fans seek out and defeat the most wanted villains in all of Skylands, pull them out of the game and into living rooms by capturing them in magical Traps. Once they’ve defeated the villains, players will be able to place a Trap into the new Traptanium PortalTM to capture them. Players can then send villains back into the game where they can play as them to fight for good, reversing the magic. They will also be able to hear the villains inside the Traps, an innovation that truly brings life to toys. To celebrate the launch, Portal Masters also visited some of the most iconic landmarks on Earth to ensure they are safe from the villains of Skylanders; bad guys were trapped in front of the Eiffel Tower in Paris, in a capsule on the London Eye, up the Kampenwand mountain in Germany, below the Hollywood sign in Los Angeles and overlooking the Sydney Opera House. Skylanders Trap Team introduces heroes known as Trap Masters that wield powerful Traptanium™ weapons used to defeat Skylands’ most notorious villains including Kaos, as well as brand new Core Skylanders characters and reposed fan-favorite Skylanders characters. The game also features a variety of elementally aligned Traps with unique and interesting designs. In addition, Skylanders Trap Team welcomes Skylanders Minis, 16 small but powerful Skylanders now fully playable, who join the battle against Skylands’ most nefarious villains. 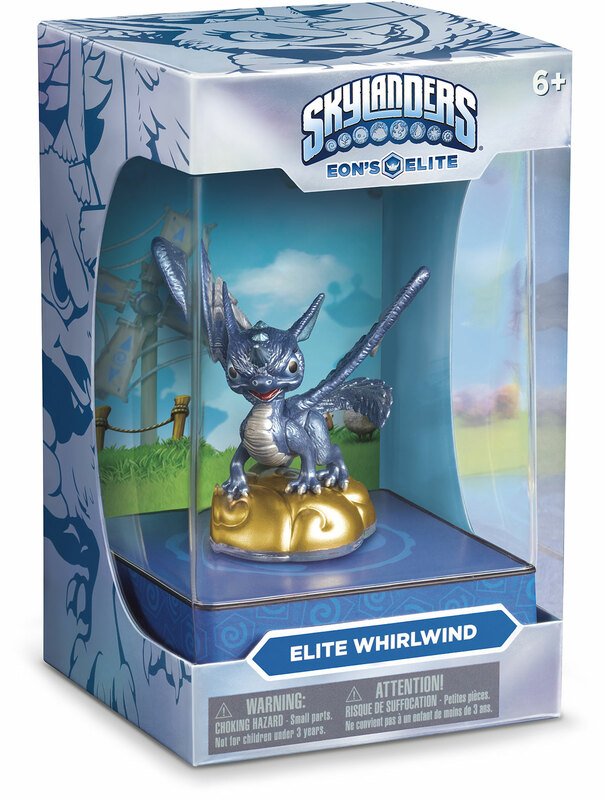 Coming to fans worldwide on November 1, Eon’s Elite collectors’ toys feature never-before-seen decoration with a distinct, metallic finish and a golden base that sets them apart from other Skylanders toys. 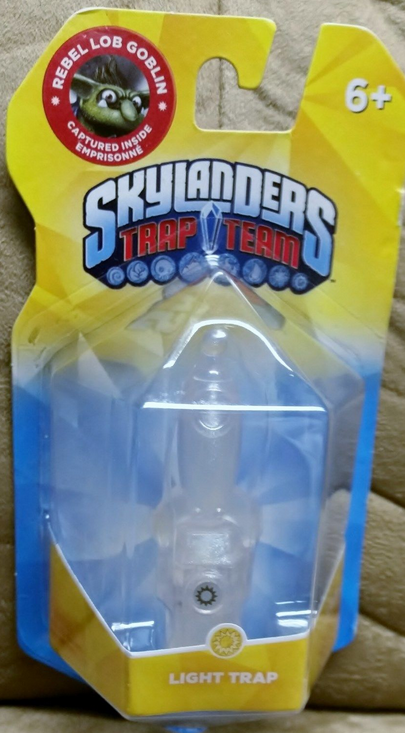 Skylanders Trap Team is compatible with more than 175 unique toys from all previous games — Skylanders SWAP Force™, Skylanders Giants™ and Skylanders Spyro’s Adventure® — every character also will be able to defeat and trap villains using Traptanium Traps, providing fans more ways to enjoy their collections.